Lockheed Martin Aero-adaptive Aero-optic Beam Control (ABC) Laser Weapon Turret for Supersonic Jet Fighter Aircraft: 360-Degree, 30-Kilowatt Spectral-Beam-Combining Laser Cuts Right Through Air Turbulence to Kill Targets! | DefenseReview.com (DR): An online tactical technology and military defense technology magazine with particular focus on the latest and greatest tactical firearms news (tactical gun news), tactical gear news and tactical shooting news. Lockheed Martin Aero-adaptive Aero-optic Beam Control (ABC) Laser Weapon Turret for Supersonic Jet Fighter Aircraft: 360-Degree, 30-Kilowatt Spectral-Beam-Combining Laser Cuts Right Through Air Turbulence to Kill Targets! DefenseReview (DR) has been covering the development of weapons-grade lasers for awhile now, including aircraft-mounted laser weapon systems. While our most recent piece on aircraft-mounted laser weapons tech was published on September 24th of this year (2015), we actually published a piece specifically on Lockheed Martin’s 30-kilowatt electric fiber laser prototype system utilizing spectral beam combining (SBC), or “superimposition”, back in February 2014. Even before that, we discussed the U.S. Air Force’s search for multiple fighter aircraft-mounted laser weapons systems in an article we published in November 2013. So, news of Lockheed Martin’s developmental prototype 30-kilowatt laser turret designed for supersonic jet fighter aircraft doesn’t exactly come as a huge surprise to us. Anyway, Lockheed Martin’s new system is called the Aero-adaptive Aero-optic Beam Control (ABC) Turret, and it’s being developed with the assistance of the Defense Advanced Research Projects Agency (DARPA) and the Air Force Research Laboratory (AFRL). Its main claim to fame is that it’s reportedly the first laser turret ever developed to allow for a 360-degree tactical engagement capability while mounted on an aircraft traveling close to Mach 1 (speed of sound). 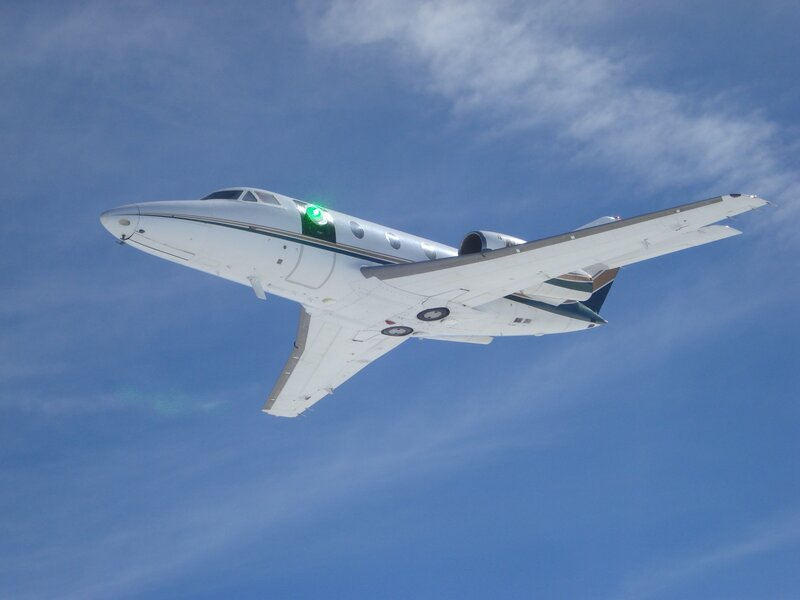 The primary hurdle for a supersonic laser weapon system, or laser canon, is overcoming or compensating for aero-optic distortion caused by air turbulance. The key to this feat is the ABC Turret’s “aerodynamic and flow-control technology” combined with its optical compensation system, which is comprised of deformable mirrors. 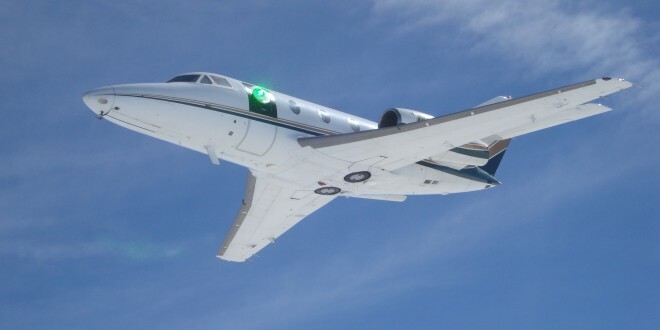 In laymen’s terms, the “Aero-adaptive Aero-optic Beam Control” system keeps air turbulance from scattering the laser beam’s light particles like fog scatters normal light beams. So far, the Lockheed Martin ABC Turret has been “verified” in almost 60 flight tests between 2014 and 2015 using a small civilian business jet as a low-cost platform testbed. In one test, the 30-kilowatt single-mode, electric-fiber laser prototype, nicknamed “Athena”, burned through a truck engine from over a mile away. The spectral beam combining, or superimposition, that creates the 30-kilowatt beam is an interesting technology, in that it combines multiple lower-power laser modules to create the single high-power beam. Athena utilizes technology originally developed for the ground-based Area Defense Anti-Munitions (Adam) laser weapon system. Gotta’ love progress, especially when it involves laser weapons. And, once again, real life mimics Star Trek and Star Wars…and we like it! Defense Review is interested to learn just how powerful Lockheed Martin’s laser weapons tech can get within the next 5-10 years, within the current ABC Turret prototype’s size and weight envelope. © Copyright 2015 DefenseReview.com. All rights reserved. This material may not be published, broadcast, rewritten or redistributed without receiving permission and providing proper credit and appropriate links. New Laser Weapons Coming to a Drone Near You: General Atomics Predator-C Avenger Getting 150-Kilowatt Laser Weapon, and Rheinmetall Defence Developing 80-Kilowatt Gatling Laser! SPA Defense/XADS TR3 Laser Rifle for Ship Defense/Anti-Piracy Operations: Hit ’em with the Big Green Laser Beam! Previous: ZEV Technologies (ZEV Tech) GlockWORX Z19 Enhanced SOCOM and Z19 Trilo Custom Glock 19 (G19) Pistol Packages with Trijicon RMR Mini Red Dot Sight Combat Optic for Military Special Operations Forces (SOF) and Civilian Tactical Shooters! Next: Cherries Covert Ops Apparel Tactical Clothing and Gear for Active Shooter Neutralization and Deep-Cover Counterterrorism Ops: Meet the Tactical Response Covert Shirt and ‘The MEDINA’ Appendix BWB (Below-the-WaistBand) Deep-Cover Direct Action Concealment Pistol Holster!